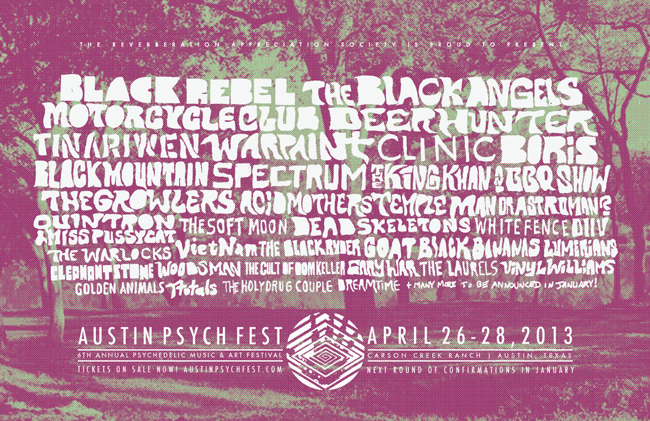 Tons of amazing psychedelic acts including CR Comp Vol. 2 contributor Vinyl Williams on the bill, and more to be announced in January. This is definitely a Texas music festival you’ll want to catch.